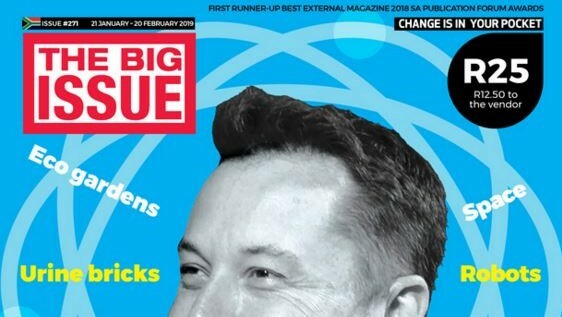 This month's edition of The Big Issue highlights some of the early year achievements of various people in organisations, including none other than Elon Musk. Additionally, crime reporter Maygene de Wee reveals lawbreaker stories, while The Little Issue provides science facts and activities for children. 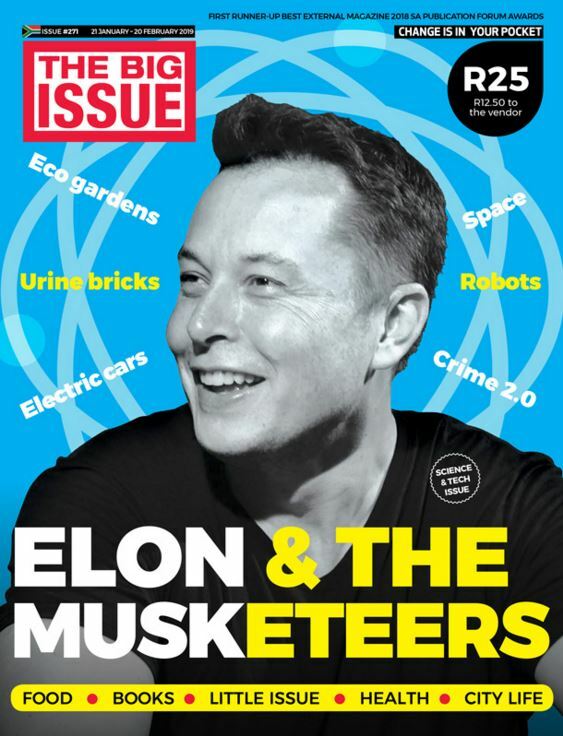 According to the magazine, it couldn't talk about what's new without turning any attention to 'Mr Invention' himself, Elon Musk. 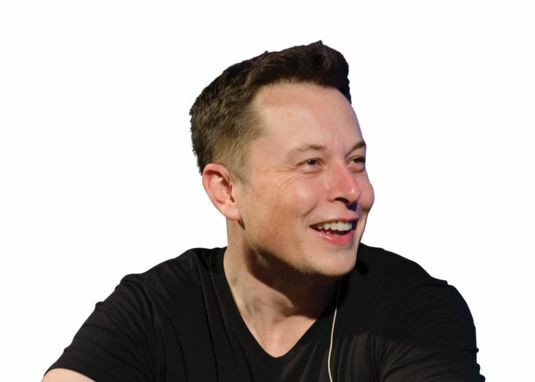 Love him or hate him, Musk's technologies are making headlines across the world. Start-up company RD9 Solutions is introducing high school learners to the world of robotics, while teens from the Helderberg Robotics Club have represented South Africa at the World Robot Olympiad. Readers can learn all about these robotics industry players on page 15. 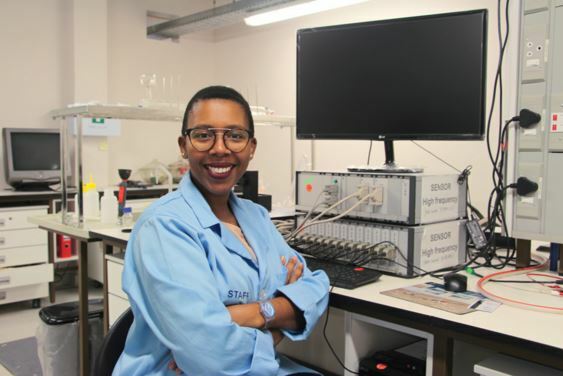 University of Western Cape's Dr Fanelwa Ngece-Ajay is changing the way township youth perceive science, technology, engineering and mathematics through her non-profit organisation, AmaQawe ngeMfundo. Readers can discover all there is to know on page 24. Crime news readers everywhere don't want to miss out on the tales told by top crime reporter, Maygene de Wee. Check out the inside scoop on page 10 of the magazine. The Little Issue will be featured once again for parents to share with their kids, ensuring that children don't miss out on all the fun. Be sure to have a look at all the knowledgeable science facts, and get creative with a couple of activities for children. Issue #271 is on sale from vendors in Cape Town from Monday, 21 January to Wednesday, 20 February. Anyone outside Cape Town can buy the magazine here. 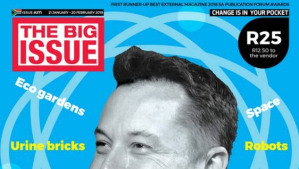 You can also buy The Big Issue with your smartphone here. 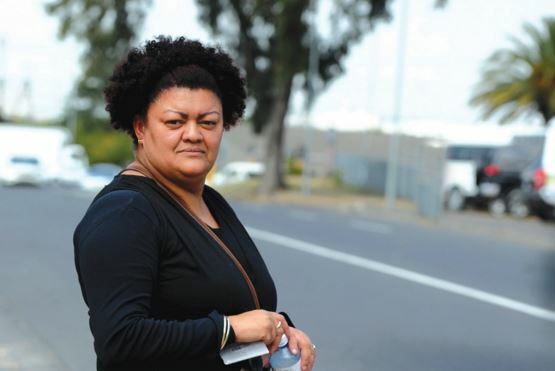 For more information, visit www.bigissue.org.za. You can also follow The Big Issue on Facebook or on Twitter.